The biggest addition in the update is playback speed options for video playback. The choices are 0.1x - which is designed to play timelapses at the original speed - 0.5x, 1x, 2x, and 3x, so that should please everybody. This option is in the bottom right hand corner of the screen. Other additions include launcher shortcuts, and a round app icon for those lucky people with Pixel devices (or those using the Pixel launcher on another device). The launcher shortcuts include the first 2-3 enabled cameras, background mode, and if you have it installed, tinyCam Cloud. Talking of background mode, there's now the ability to record audio in background mode, although this does need to be turned on in App Settings -> Developer, as the feature is still in beta. Otherwise, there is a host of fixes and improvements, which can be seen in the changelog below. - Redesigned video playback with slow/fast play speed. - Added 2x5 vertical layout. - Record audio in background mode. Switch it on in App Settings - Developer (still in beta). - Landscape mode for tinyCam cloud timeline. - CPU usage in background mode and web server. - Improved in-app motion detection. 16x9 grid is used. - Smooth audio fade in/out. - Fixed out of sync audio recording. 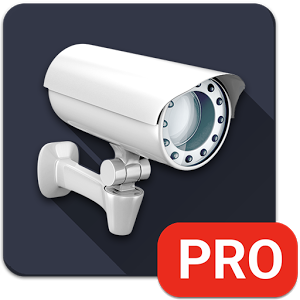 tinyCam is available on Google Play in both free or Pro formats, the latter of which costs $3.99. The free edition is available on APK Mirror if the Play Store isn't your thing.